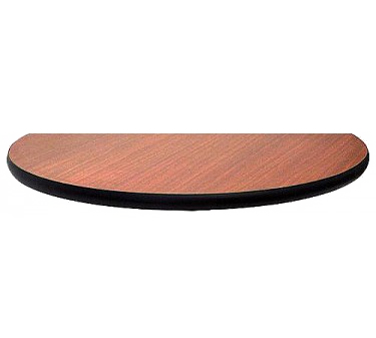 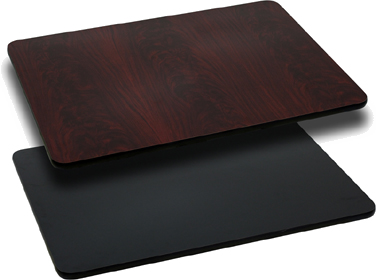 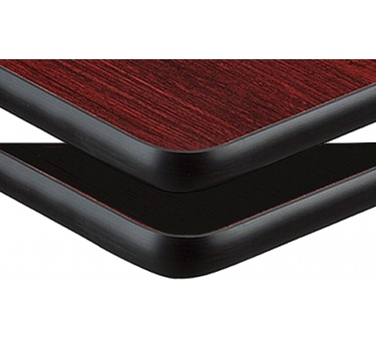 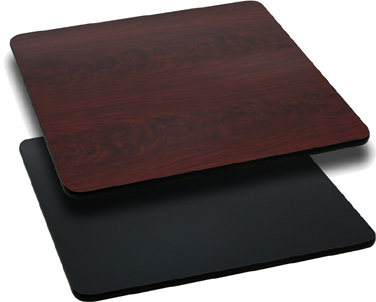 T24RMB Flash Furniture - XU-RD-24-MBT-GG Reversible Table Top round 24"
T24RNW Flash Furniture - XU-RD-24-WNT-GG Reversible Table Top round 24"
T2424MB Flash Furniture - XU-MBT-2424-GG Reversible Table Top square 24" x 24"
T2424NW Flash Furniture - XU-WNT-2424-GG Reversible Table Top square 24" x 24"
T2430MB Flash Furniture - XU-MBT-2430-GG Reversible Table Top rectangular 24" x 30"
T2430NW Flash Furniture - XU-WNT-2430-GG Reversible Table Top rectangular 24" x 30"
DT24R All About Furniture - Reversible Table Top round 24" dia. 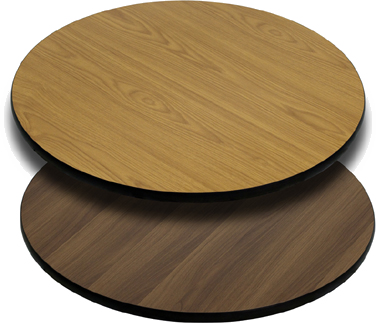 DT2424 All About Furniture - Reversible Table Top square 24" x 24"
T30RMB Flash Furniture - XU-RD-30-MBT-GG Reversible Table Top round 30"
T30RNW Flash Furniture - XU-RD-30-WNT-GG Reversible Table Top round 30"
DT2430 All About Furniture - Reversible Table Top rectangle 24" x 30"
T2442MB Flash Furniture - XU-MBT-2442-GG Reversible Table Top rectangular 24" x 42"
T2442NW Flash Furniture - XU-WNT-2442-GG Reversible Table Top rectangular 24" x 42"
DT30R All About Furniture - Reversible Table Top round 30" dia. 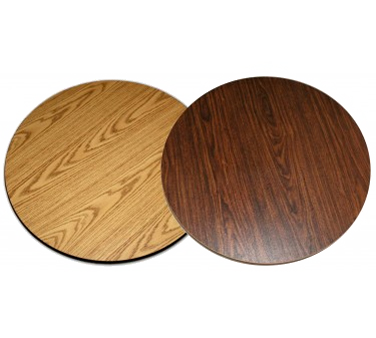 DT3030 All About Furniture - Reversible Table Top square 30" x 30"
T3030MB Flash Furniture - XU-MBT-3030-GG Reversible Table Top square 30" x 30"
T3030NW Flash Furniture - XU-WNT-3030-GG Reversible Table Top square 30" x 30"
T3042MB Flash Furniture - XU-MBT-3042-GG Reversible Table Top rectangular 30" x 42"
T3042NW Flash Furniture - XU-WNT-3042-GG Reversible Table Top rectangular 30" x 42"
T3045MB Flash Furniture - XU-MBT-3045-GG Reversible Table Top rectangular 30" x 45"
T3045NW Flash Furniture - XU-WNT-3045-GG Reversible Table Top rectangular 30" x 45"
T36RMB Flash Furniture - XU-RD-36-MBT-GG Reversible Table Top round 36"
T36RNW Flash Furniture - XU-RD-36-WNT-GG Reversible Table Top round 36"
LTT24R All About Furniture - Table Top round 24" dia. 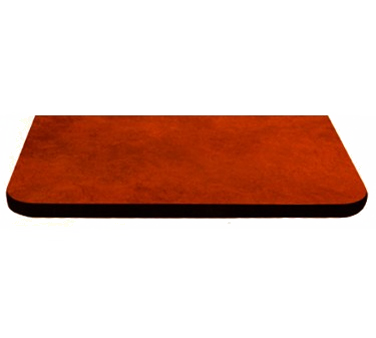 LTT2424 All About Furniture - Table Top square 24" x 24"
DT2442 All About Furniture - Reversible Table Top rectangle 24" x 42"
DT2445 All About Furniture - Reversible Table Top rectangle 24" x 45"
DT2448 All About Furniture - Reversible Table Top rectangle 24" x 48"
T3636MB Flash Furniture - XU-MBT-3636-GG Reversible Table Top square 36" x 36"
T3636NW Flash Furniture - XU-WNT-3636-GG Reversible Table Top square 36" x 36"
T3048MB Flash Furniture - XU-MBT-3048-GG Reversible Table Top rectangular 30" x 48"
T3048NW Flash Furniture - XU-WNT-3048-GG Reversible Table Top rectangular 30" x 48"
LTT2430 All About Furniture - Table Top rectangle 24" x 30"
DT3042 All About Furniture - Reversible Table Top rectangle 30" x 42"
DT3045 All About Furniture - Reversible Table Top rectangle 30" x 45"
DT3048 All About Furniture - Reversible Table Top rectangle 30" x 48"
T3060MB Flash Furniture - XU-MBT-3060-GG Reversible Table Top rectangular 30" x 60"
T3060NW Flash Furniture - XU-WNT-3060-GG Reversible Table Top rectangular 30" x 60"
LTB24R All About Furniture - Table Top round 24" dia. 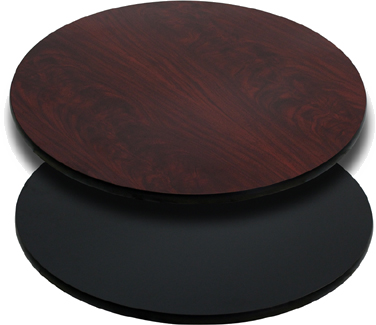 LTB2424 All About Furniture - Table Top square 24" x 24"
DT36R All About Furniture - Reversible Table Top round 36" dia. 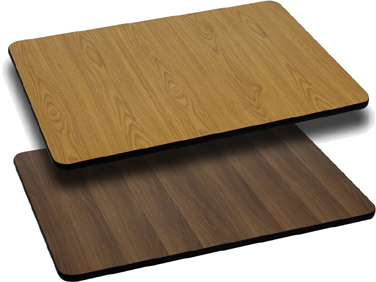 DT3636 All About Furniture - Reversible Table Top square 36" x 36"
LTT30R All About Furniture - Table Top round 30" dia. 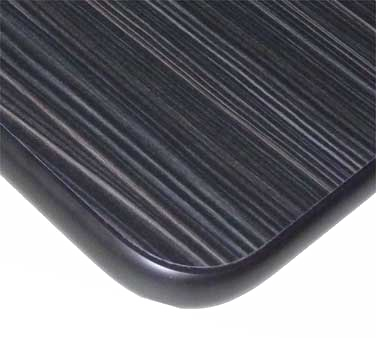 LTT3030 All About Furniture - Table Top square 30" x 30"
DT3060 All About Furniture - Reversible Table Top rectangle 30" x 60"
LTB2430 All About Furniture - Table Top rectangle 24" x 30"
DT3072 All About Furniture - Reversible Table Top rectangle 30" x 72"
LTB30R All About Furniture - Table Top round 30" dia. 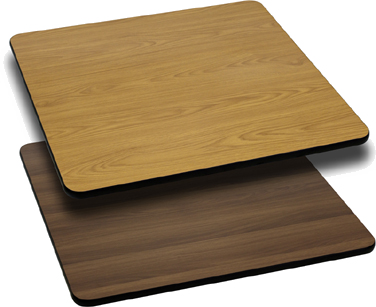 LTB3030 All About Furniture - Table Top square 30" x 30"
LTT2442 All About Furniture - Table Top rectangle 24" x 42"